Had enough of work this week; time to Escape to the sun for the Weekend on the mighty Murray River. 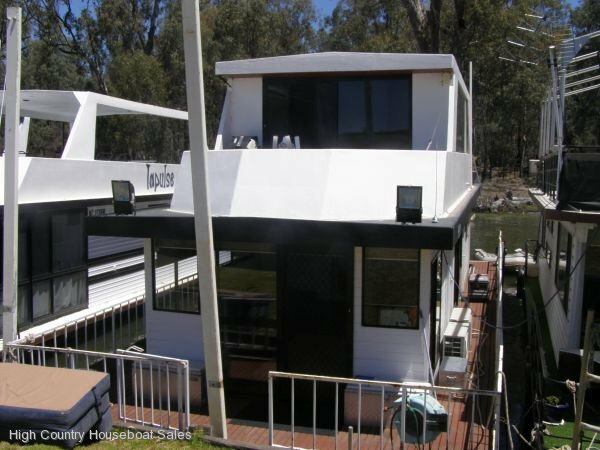 WEM has just been extensively refurbished with enclosed top deck added; new kitchen; great entertainment systems and most importantly a reverse cycle air conditioner unit. WEM is open, refreshing & inviting. 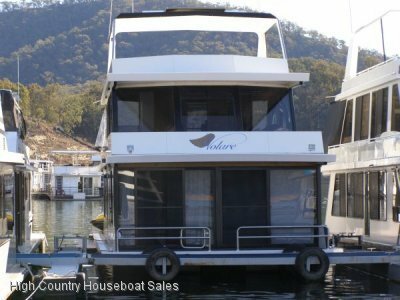 She is an ideal escape venue to relax & unwind as you watch the Sun set on the Mighty Murray River. Ask to inspect WEM this weekend. 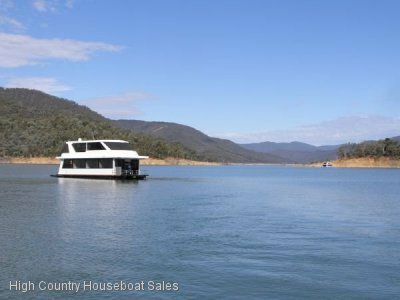 For More Detailed Information & Extra Photos Please Click On "Enquire About This Boat. " Kitchen: Twin tub sinks; Convection oven, grill combination; Nobel 4 burner cooktop gas; Fisher & Paykel electric fridge freezer. Kitchenette with sink; Samsung electric fridge / freezer. Fisher & Paykel electric fridge freezer. Samsung electric fridge / freezer. POWER: Honda EU30is Generator; Solar controller MPPT30; Powerstar W7 Inverter Charger; 2 x 200amphr house batteries; Mercury 50hp EFI 4 stroke; Motor start battery. 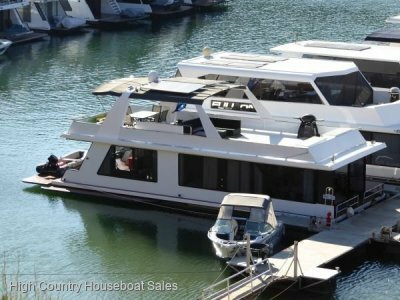 Refurbished extensively with Top Deck added in 2012; Marina pen @ Deep Creek Marina is available for Rent or Purchase.